Hand Reflexology Massager BUY Hand Massage, Trigger Point Massage, Hand Massager, Trigger Point Massager, Hand Trigger Point Massager, 81569, Reflexology Massage. Hand Reflexology Massager uses a mechanical air pressure for Trigger Point Therapy for your hands. Deep penetrating Infrared Heat can also be activated on the Hand Reflexology Massager to supplement the Trigger Point Therapy. This Reflexology Massager provides gentle and soothing massage by compressing the trigger points on the palm and back of the hand. 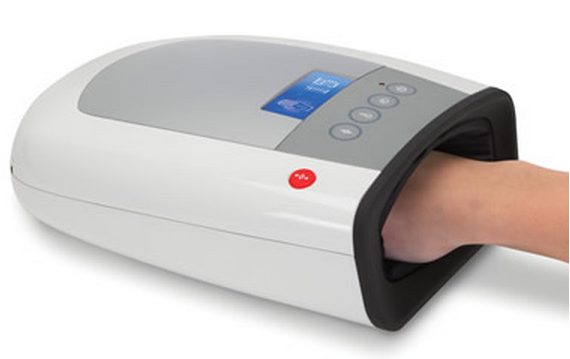 The Hand Reflexology Massager kneads the hand for a comfortable, spa-like massage. An Electric Massager, the Hand Reflexology Massager uses four AA batteries to operate. The soothing rhythm generated by the Hand Massager relieves tension, stress and fatigue. 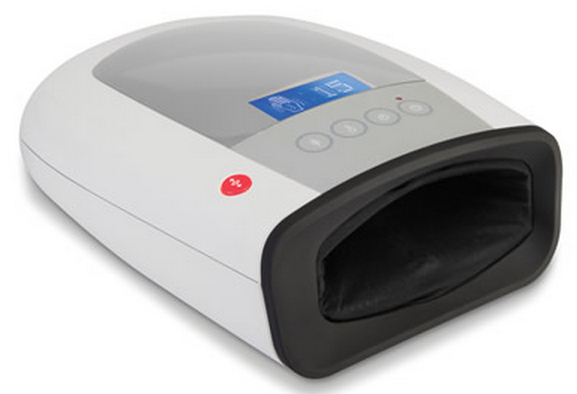 Hand Reflexology Massager works by placing your hand into the soft polyester interior. Pressing a button on the control panel begins a 5, 10 or 15 minute massage tension. 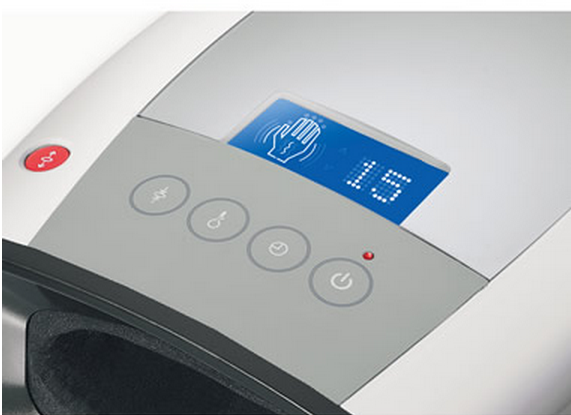 Select between one of four pressure levels also selectable on the Hand Reflexology Massager’s control panel. You can also select Infrared Heat during the massage session to promote better circulation. Compresses trigger points on the palm and back of hand. Helps to relieve pain and discomfort in the hands. Hand Reflexology Massager Product Number: 81569. This hand massager is great for the office. When fatique sets in, I take a small break with the massager and I am than ready for more typing.